[Event] Touch Fan Tour in Kuala Lumpur, Malaysia, 2014. 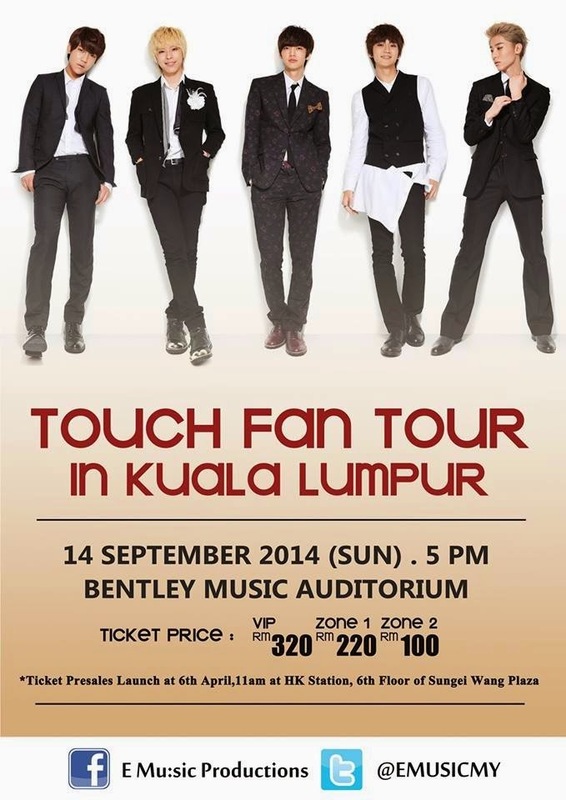 Touch will held the TOUCH Fan Tour in Kuala Lumpur at Bentley Music Auditorium on 14 September 2014 (Sunday) (5 pm). The organizer of this event by E Mu:sic Productions. TOUCH is a 5-member Korean group debuted in 2010 with their self-titled mini-album Touch under YYJ Entertainment. The group name is an acronym for "The Original Undeniable Charismatic Homme". They have released albums in Japan & Korea.